Angourie's Blue Pool at dusk. 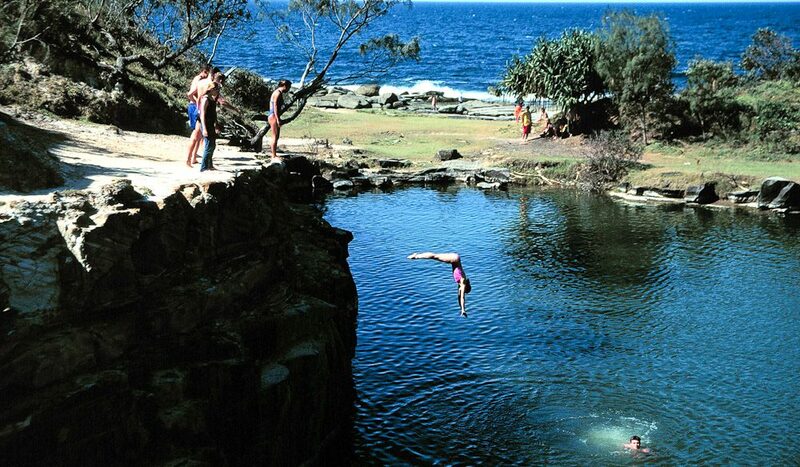 Angourie’s Blue Pool was once a rock quarry that ran across a slight problem. When an underground freshwater spring was disturbed it was suddenly transformed into an aquatic haven. 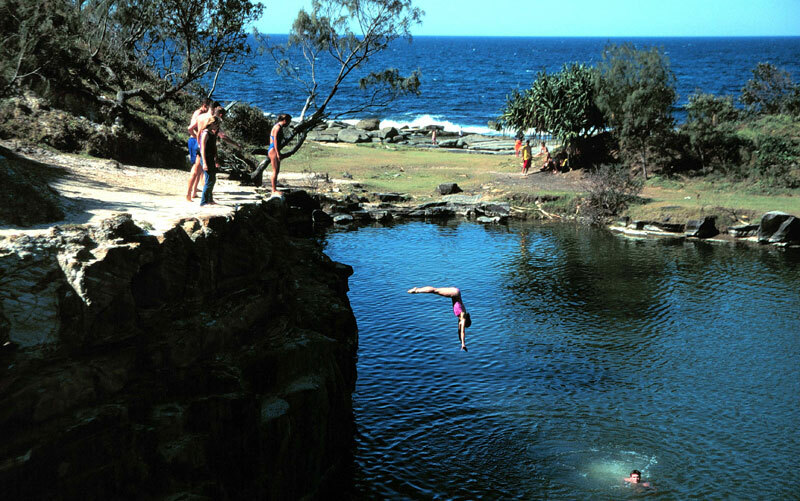 Children revel in it for the daredevil opportunities it provides, jumping off the cliffs into the dazzling blue without a care in the world. Ramblers who’ve undertaken the spectacular 10km coastal walk from Angourie think of nothing but the opportunity to melt into the Blue Pool’s revitalising chill after their hike. And the whole area is a Mecca for dyed-in-the-wool surfers as well as a renowned home to some of Australia’s top surfboard shapers. While you’re in the area be sure to check out Spooky’s Beach (Spookies to the locals) a great point to look for whales and dolphins, as well as Back Beach, a slightly quieter surf break. Keep your eyes open and alert for the chance to collect some fabulous shells, but – and the locals have asked us to make a point of this – please be positively sure not to leave any litter. 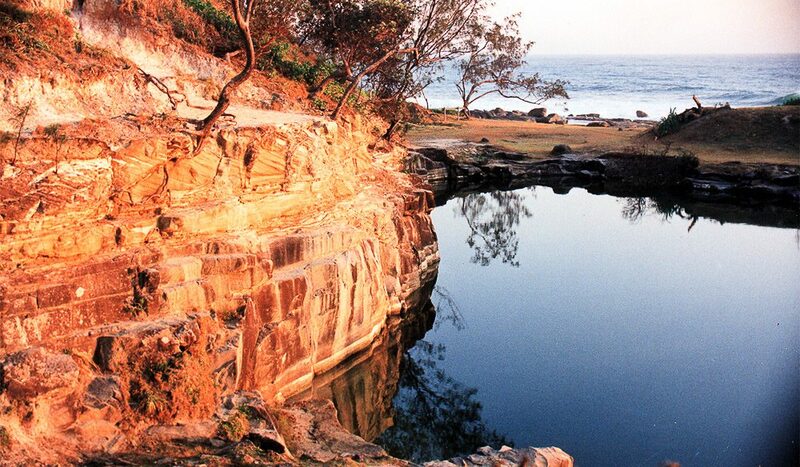 WHERE // Angourie’s Blue Pool is 684km north of Sydney, 10km south of Yamba, 133km south of Byron Bay and definitely worth the journey to visit. DID YOU KNOW? // The small village of Angourie first surfed into the limelight in the cult movie Morning of the Earth in 1971.